Like Helloworld Claremont Quarter On Facebook! Helloworld Limited is a leading Australian based travel distribution company, comprising retail travel businesses, destination management services (inbound), air ticket consolidation, wholesale, corporate and online operations. The Claremont Quarter Branch is one of the leading travel agencies in Western Australia, well respected throughout the travel industry! So get in contact with John Davidson and the outstanding team at Helloworld Claremont Quarter to book your next getaway today! For every sale made at Helloworld Claremont Quarter, not only do you receive the lowest prices and best quality care, the Club also receives 1% of all sales! Simply mention “Leeming Spartan” at any time during booking! John Davidson is one of the most experienced figures in Western Australian travel, and has a knowledge for the industry that is almost unparalleled. For all your holiday, work, and travel needs, there is no better person to ask than John. Always with your best interests at heart, John allows you to ring him on his personal mobile at any hour the day, regardless of location, when you are on your trip, should you encounter an issue. John has a keen interest in local sporting clubs, and is always keen to lend a hand where possible, and has previously supported the Leeming Bowling Club. Helloworld Claremont provides regular outstanding travel packages to a variety of locations across the globe! They are individually handpicked and sourced in advance to save you and your family the most. By often working in conjunction with other travel and Helloworld agencies, this means that you can save even more and get the best destinations available. Please contact the Helloworld Claremont Quarter Offices on (08) 9380 6955 to learn more about the fantastic travel opportunities on offer. And, of course, when you book, do not forget to mention the Leeming Spartan Cricket Club – you save and we receive 1% of your purchase! Discover North America in style with Insight Vacations as we partner with American Airlines and Virgin Australia to bring you great airfares offers across our top selling 2017 USA and Canada tours. 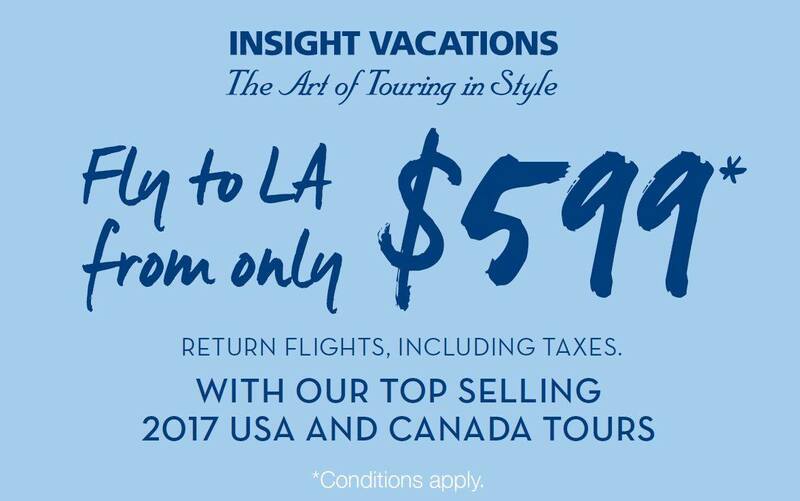 Fly return to Los Angeles for $599, Vancouver for $699 and New York for only $899* when you book by 28 January 2017. Whether discovering Canada’s majestic Rocky Mountains or the vibrant jazz scene of New Orleans, we will look after you all the way, with the award-winning personal service, comfort and attention to detail that defines every Insight journey. From Just $4,795.00 Per Person! 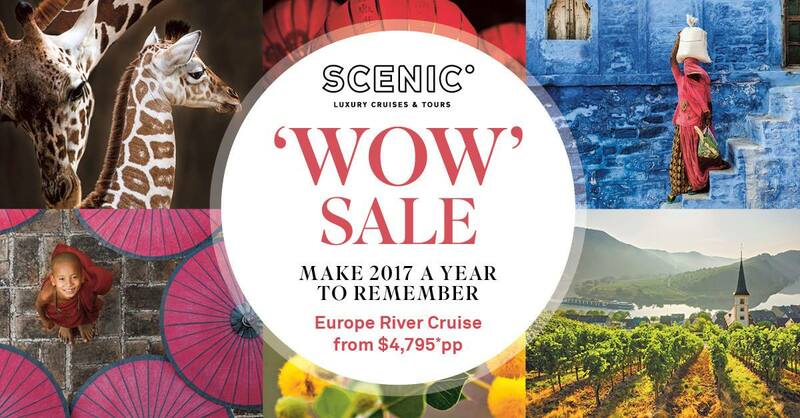 Featuring special offers across a range of Scenic destinations including Europe and South East Asia River Cruising, Canada, China, India and Australia. 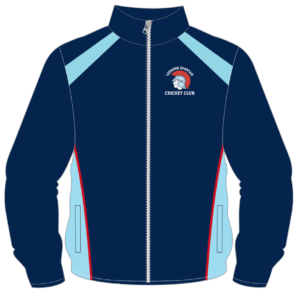 Sale ends 28 February 2017 unless sold out prior. Call us on (08) 9380 6955 or email claremont@nullhelloworld.com.au for more information and to book. 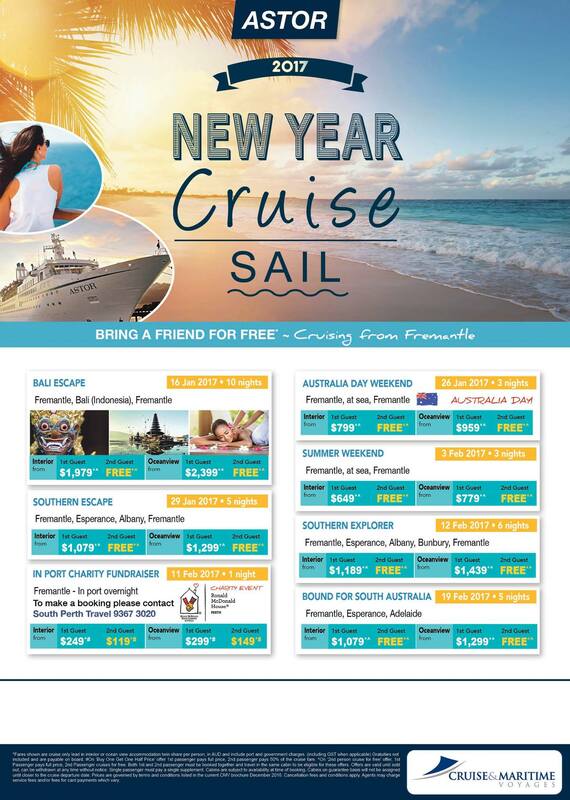 Go On A Fantastic Cruise! From $249.00 For Two People! Start your 2017 off with a bang, by going on a cruise to any of the destinations above, beginning at a variety of different dates in the early new year! Plus, bring a friend or family member for FREE! Helloworld Limited (ASX: HLO) is a leading Australian based travel distribution company, comprising retail travel businesses, destination management services (inbound), air ticket consolidation, wholesale, corporate and online operations. This includes “helloworld”, Australia’s largest network of franchised travel agents, as well as our Corporate, Associate and Affiliate networks, Qantas Holidays, Go Holidays in New Zealand, AOT Inbound, ATS Pacific, QBT, Sunlover Holidays and Insider Journeys. 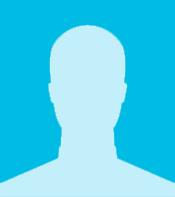 Helloworld Limited has over 2000 staff located in Australia, New Zealand, Fiji, the USA, South East Asia, India and Europe. Such is the care and commitment to our customers, you can reach out to our manager John Davidson at any hour of the day on his personal mobile whilst on your holiday for any queries or concerns!